Do you need a lead-free option for competitive shooting or hunting? 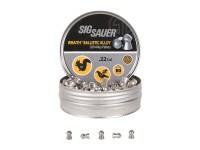 These lead-free pellets provide maximum velocity and the accuracy youre looking for. Youll enjoy improved drive in the barrel and no lead fouling, along with zero contact with lead due to the tin alloy composite material. Things I liked: Accuracy and penetration are excellent. 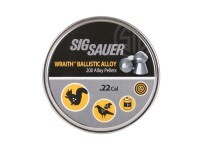 So far, this has been the most accurate pellet I have used with my Gamo Swarm Magnum. 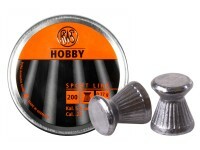 It has proved to be the best pellet for taking small game and wild turkey where lead is prohibited. 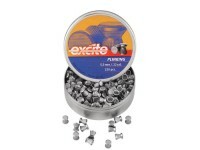 Based on accuracy alone, I would still choose these over lead pellets. 1/2 inch groups at 25 meters are normal, making head shots out to 35 meters easy. Penetration on all game so far has been complete and I have only recovered one pellet so far after it passed through a squirrel and struck an asphalt curb. The pellet had very little damage to it as expected of an alloy pellet. Things I would have changed: The price. 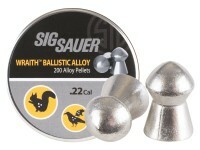 These are expensive pellets, but their performance is better than any pellet I have tried so far. What others should know: Due to the alloy material these pellets are made from, they seem to be less of a ricochet hazard and not travel as far as lead pellets after impact. What others should know: I mostly shoot low powered airguns at 10-40 yards. Generally lead free pellets do not work so well in my guns. They may go faster but group sizes open up a lot compared to lead pellets. My Hammerli 850 shoots great groups with these pellets even at 40 yards. I just have to tilt the gun muzzle up when I cycle the next round so that the point of the pellet does not catch since these are a little longer than a standard pellet. Things I liked: This is a quality pellet. Accuracy, consistency and uniformity are good. FAST... 785 fps muzzle velocity with my AirArms TX-200. But, due to low grain weight, velocity falls off quickly with distance. Things I would have changed: Price is very high at 13.5 cents per pellet. What others should know: If you are not required to shoot lead free, there are lead pellets just as good for much less cost. Compatible in Sig sauer mcx?